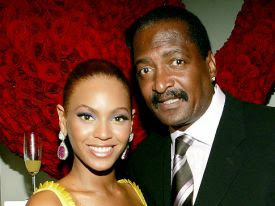 Matthew Knowles, father of Beyoncé and former manager of Destiny's Child, decided to earn extra money this holiday season selling group items. According to TMZ, Matthew organized a garage sale and is selling rare pieces in their home in Houston, Texas. Among the items available are giant posters of Destiny's Child being sold for $ 200.00, tour books for $ 20.00, and even designer of House of Dereon parts of Beyoncé Knowles and her mother Tina. There youngest CDs Solange being sold for only US $ 1.96 and office furniture. Also according to TMZ, the decision to organize the yard sale would be to remedy the entrepreneur's problems with his paternity suits. Recently, a DNA test proved Knowles and Solange have a brother to approximately 4 years of age. In 2010, Matthew had taken the paternity of another boy, his relationship with actress Alexsandra Wright, which would have put an end to their marriage of over 30 years with Tina.